Troubled singer Amy Winehouse was found dead Saturday by ambulance crews called to her home in north London’s Camden area. She was 27. A British singer, she made an auspicious debut with her jazz-influenced 2003 album “Frank.” She garnered worldwide fame with the 2006 follow-up “Back to Black,” with its blend of jazz, soul, rock and classic pop. She won five Grammys and with her black beehive hairdo and old-fashioned sailor tattoos one of music’s most recognizable stars. 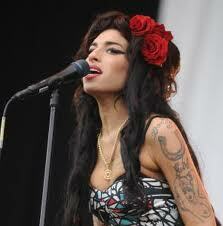 But her music was ultimately overshadowed by her demons, particularly her struggles with substance abuse. Last month, Winehouse canceled her European comeback tour after she swayed and slurred her way through barely recognizable songs in her first show in the Serbian capital of Belgrade. 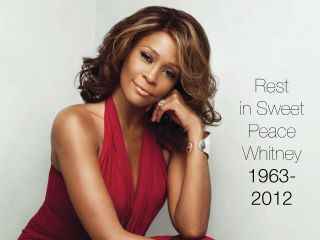 Booed and jeered off stage, she flew home and her management said she would take time off to recover, reported the AP. An autopsy today failed to determine what killed the 27-year-old star, leaving fans and family with a weeks-long wait for the results of toxicology tests. A family spokesman told the wire service that a private funeral “for family and close friends” is set for Tuesday at an undisclosed time and place. Not everyone knows a “Winehouse,” as he called her, but he noted that most do know drunks and junkies in need of help that is out there for them. As he also noted, ‘Amy was a genius and an addict.’ Addiction is an evil drag that one carries with them for the rest of their life. Although many of us could have predicted Amy Winehouse’s early demise, still there was this hope that somehow she would find a way to manage her demons and live. Unfortunately, this was not to be. Amy Winehouse now joins that notorious group of musical geniuses who also were defeated by the grim reaper of addiction: Kurt Cobain, Jimi Hendrix, Janis Joplin and Jim Morrison. So much talent, so much artistic creativity destroyed by a disease that is too often all too powerful for the afflicted individual to overcome. With Amy Winehouse’s death, Club 27 has claimed yet another victim.